The Cuda Bowl was started by flats and fly fishing guide Capt. Justin Rea and his wife Loren. The tournament was started to try and help shallow water fishing guides generate more winter-time business and entertain anglers with a fun and reasonably priced tournament. The first Cuda Bowl was held in January 2011 and was the last Friday and Saturday prior to Super Bowl Sunday. That’s how the tournament got it’s name. For the first event we had 12 boats and 23 anglers – not a bad start for a little tournament that was basically advertised by a couple of posters in local tackle shops and word-of-mouth. Five years later we are expecting more than 30 boats and 60 anglers to participate in the 2015 Cuda Bowl! We have a group of wonderful sponsors both local and national that have helped us with our quest to put on a fun tournament. 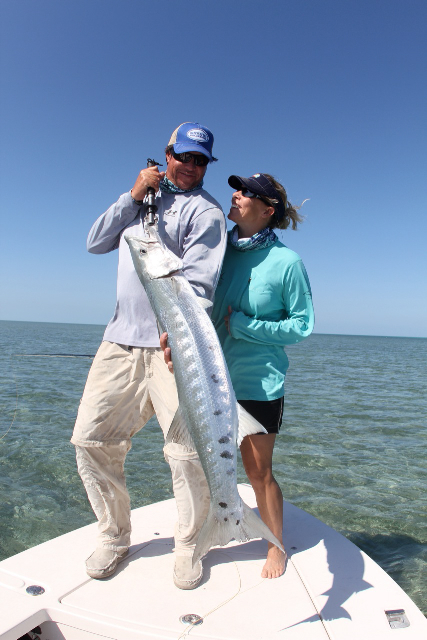 So if you plan on a trip to the Keys during the latter part of January – look us up and come fish the Cuda Bowl!